We love Belgium. 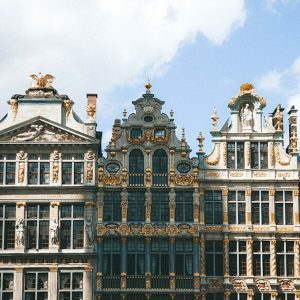 We love the raw and grungy side of Brussels, the beautifully preserved cultural cities remeniscent of Medieval times and the fact that it is so terribly underrated as a travel destination. Belgium is special and it is our home. Though most cities and provinces have beautiful parks, we still sometimes yearn for real nature. 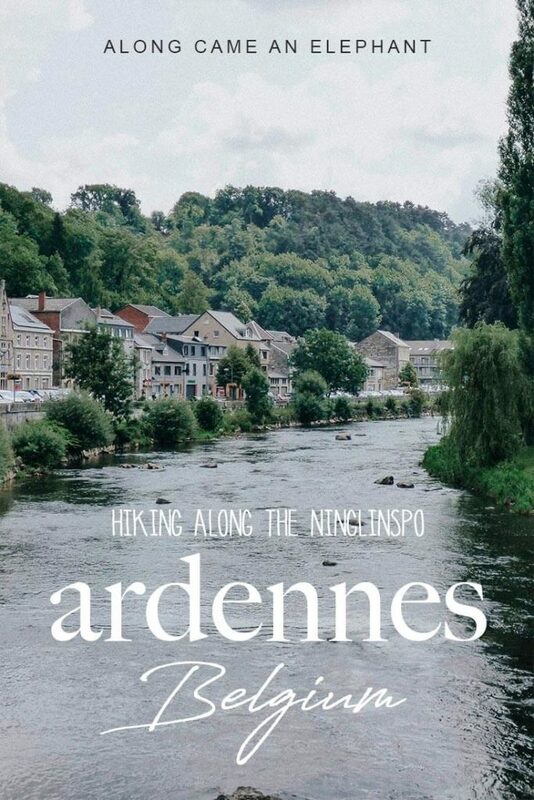 One of the biggest reasons that we wanted to go to the Ardennes was to get some exercise in the wilderness and get away from the hustle and bustle of city life. 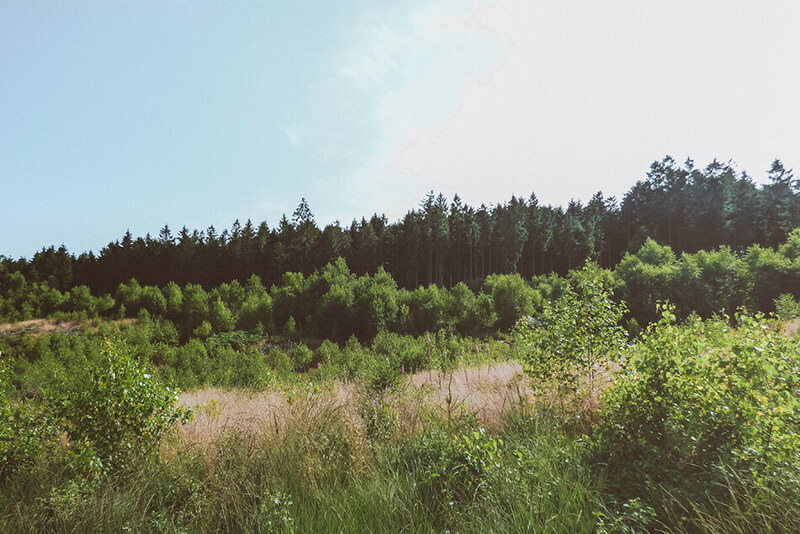 When the weather finally started to turn and the first warm sunny days arrived, we didn’t hesitate long before we jumped into our car for a short impromptu road trip to the Ardennes. A perfect day trip from Brussels. 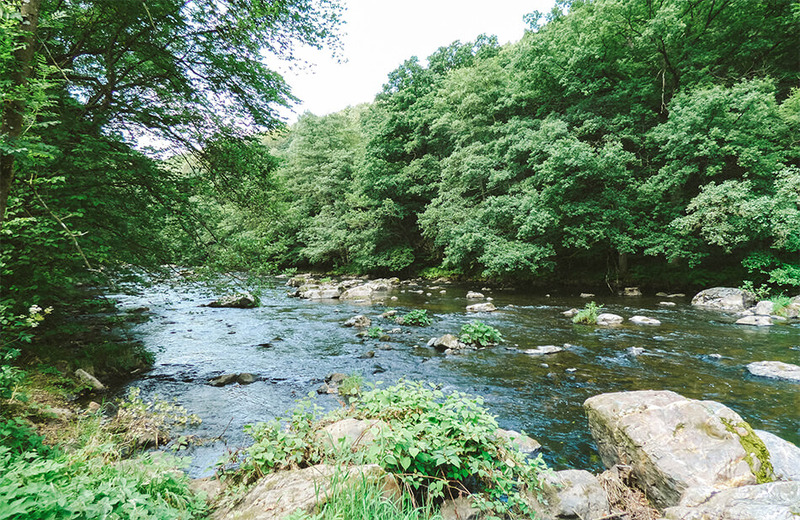 Hiking along the Ninglinspo is a local favorite for its intense greenery, ascend along the Ninglinspo and Chefna rivers and solitude atop the Liège plateau. 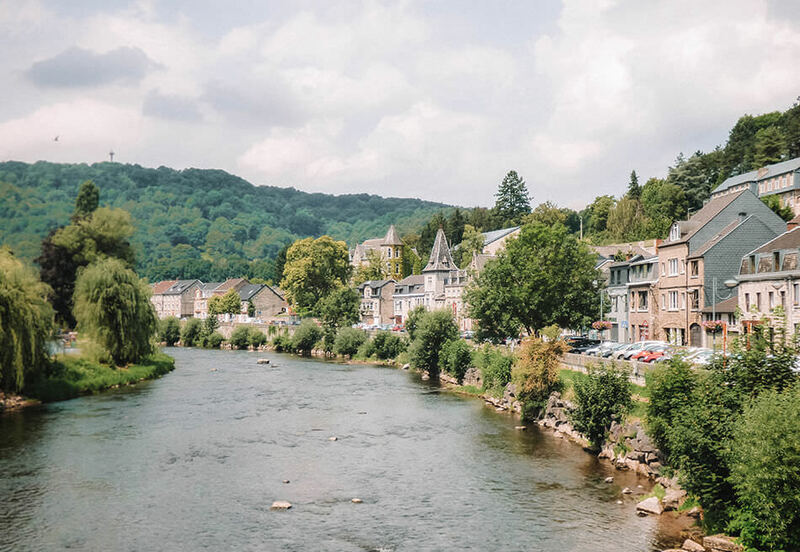 The quaint gateway town of Remouchamps also exumes that rustic Ardennes charm and is an excellent place to relax after your hike with a good Belgian meal and beer. 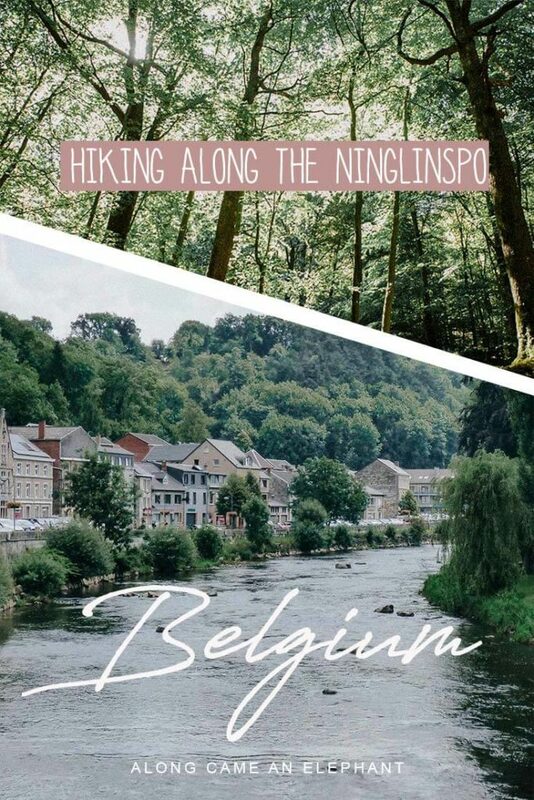 Is it worth taking a day trip from Brussels to hike the Ninglinspo? 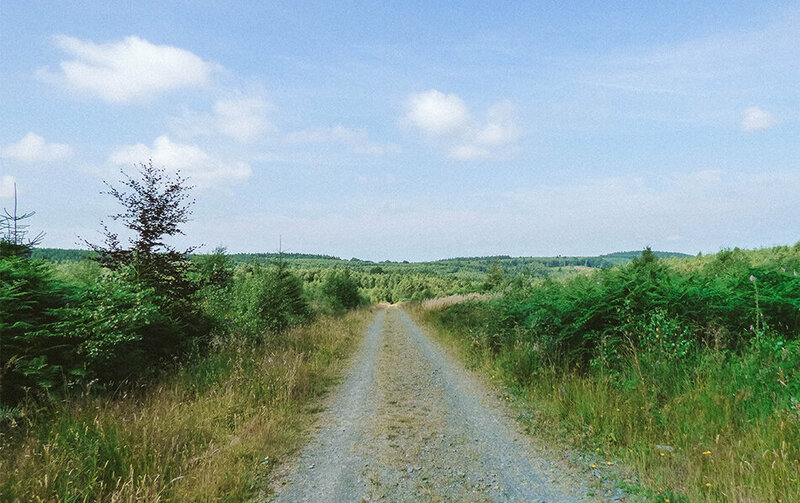 At first we thought nah, but as we spent more time along the trail, we found absolute bliss as we left the crowds behind and got to experience the real Ardennes. The Ninglinspo is Belgium’s only mountain river. The trail next to the river is known as the most popular one in our country and mostly visited by locals. When lots of locals visit a place, it often guarantees you’re discovering something good. It also means it can get pretty crowded, especially on weekends and national holidays. Most tourists will opt for the short 5k walking trail, which is also suitable for families with little children. We were keen on ditching the crowds and decided to go for the 14k trail (8,5 miles) not only following the Ninglinspo river but also the Chefna river and crossing the Liège plateau. In order to beat the crowds during the more popular first part of the hike, we decided to leave early and started our walk in the fresh morning dew under the orange glow of the rising summer sun. By going beyond the original Ninglinspo hike, you’re pretty much guaranteed much smaller crowds and by going in the off-season and not on the weekend or a national holiday, you absolutely will have plenty of time and space to yourself. It just gets better the farther out you go. The hike is also incredibly well marked so no risk on getting lost. The walk is very varied. 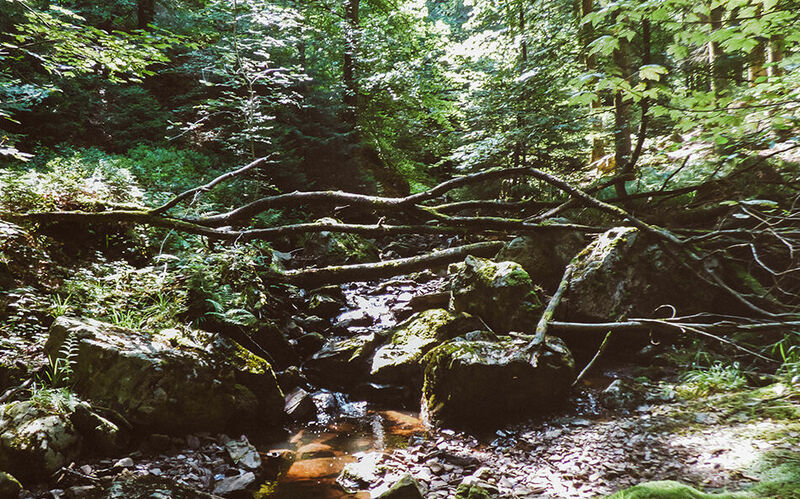 The first part of the hike is the most popular part where we followed the small river stream upwards, sometimes wading through the water and sometimes crossing the Ninglinspo river by bridges when the river gets too deep. Both fallen tree trunks and constructed wooden bridges are used to ‘zigzag’ hikers upstream over and beside the Ninglinspo. Sometimes the trail leads over more rockier grounds alongside the riverbed and we had to use ropes to climb the slippery rocks and more steeper parts along the river. A tiny bit of adventure in our beautiful country! 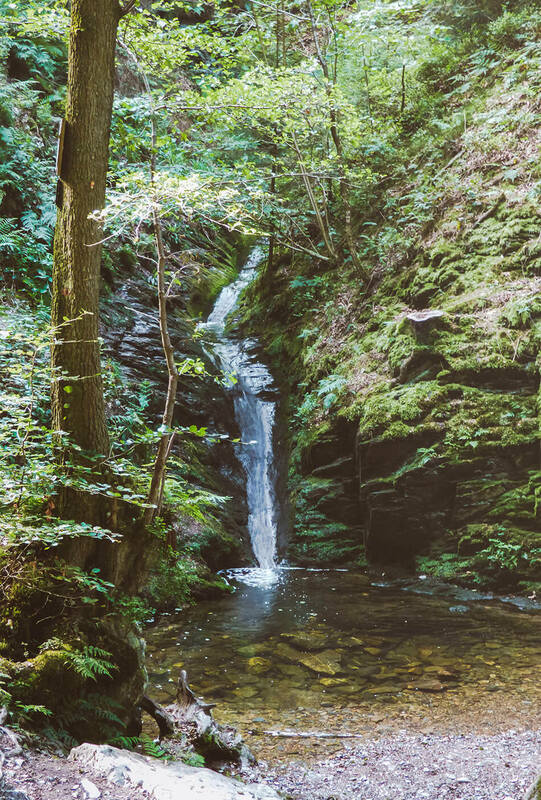 Tiny waterfalls and small fairytale like ponds seem to pop up everywhere along the trail, all in the almost magical setting of Belgian Ardennes. With only the soothing sound of the Ninglinspo water trying to find its way in the nearby Amblève river we walked all the way up – which is about 200m higher than the starting point. 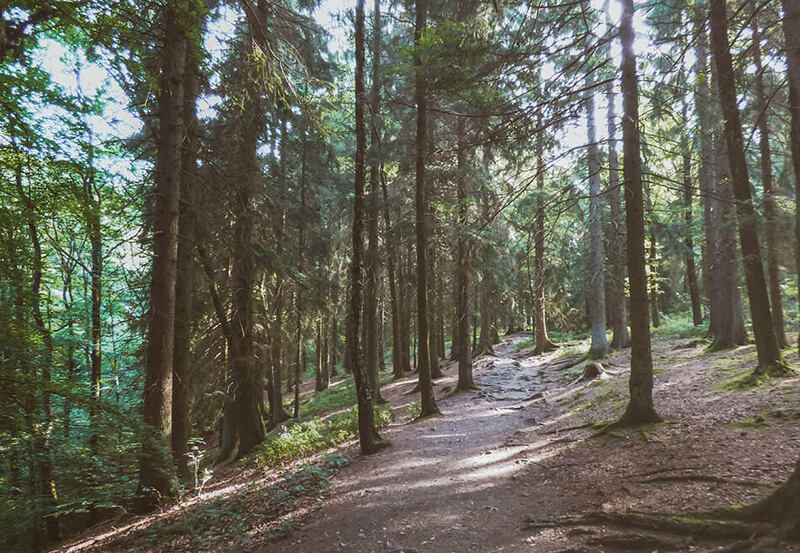 At this point, less experienced hikers can decide to follow the trails downwards back to the starting point. But our journey didn’t end there though, we went further uphill towards the ‘Liège plateau’. And yes, very soon from that moment on we could call ourselves king of the the hill. At this point we covered about 400 meter height difference. Because of the dense forests everywhere around, you should not immediately expect breathtaking panorama’s. But think about it: that’s actually a good thing as nature clearly still can have the upper ground in this particular region of Belgium, a country where too often bricks have won the battle against the trees in the past!. Given the trail is a loop, you can find the part of the hike where you’ll start descending a little bit further. For your information: the trail itself is very well marked all along the way! In the second half of the hike, you follow another small river, the Chefna, but now downwards. And yes, you guessed it right, this part is at least as much fun as the part where you went upwards. For the more adventurous amongst you, you can once again ‘zigzag’ yourself over the Chefna to the bottom of the hill. For the less experienced hikers, or if you begin to feel a little bit tired after about 10k walking in nature, a more convenient path is available just next to the Chefna river. The last part of the Ninglinspo hike consists of 1-2k walking besides the Amblève river (by far the biggest of the 3 mentioned ones). This is a very easy and (almost) flat ending of a beautiful hike! We have a car here in Belgium so we had the luxury of basically going anywhere we wanted while visiting the Ardennes. 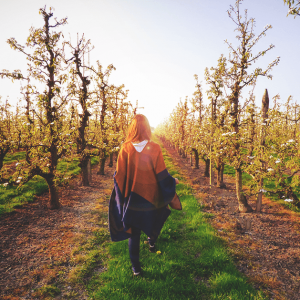 Renting a car can easily be done from Brussels or any other major Belgian city but if you prefer public transport, you could get to Remouchamps by train from Brussels easily. It takes about 2hours to get to Remouchamps from Brussels; taking the train to Aywaille and the bus to Remouchamps. Check time tables here. 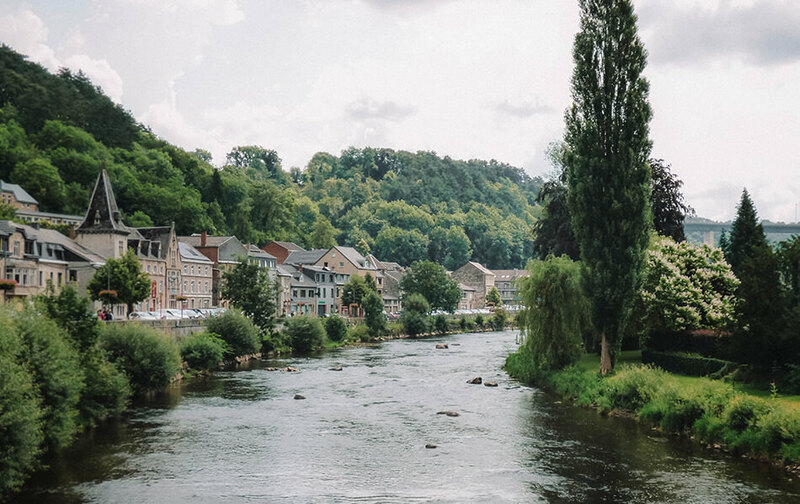 The Ardennes is the perfect contrast of the more crowded and buzzling Northern part of Belgium. The further we hiked, the more we came to appreciate it. During the first 2-3k of the hike, we actually weren’t all that convinced feeling a bit too touristy for us, but as we progressed we found that we actually really enjoyed the hike and were able to get some solitude. 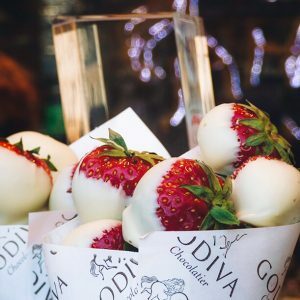 A perfect day trip from Brussels! The town of Remouchamps also has cafes and restaurants offering Belgian specialities like Boulets frites à la liégeoise (meatballs in a sweet sauce created from traditional Liege pears syrup accompanied by french fries). Ninglinspo, we’re glad we discovered you. We’ll be back, though only during off season! Parking lot near the Ninglinspo pub in the small village of Sedoz, located between Remouchamps and Stoumont. GPS coordinates: 50.468609 , 5.74354 Parking lot near the Ninglinspo pub in the small village of Sedoz, located between Remouchamps and Stoumont. Love it? Pin it and share it! What perfect, beautiful hiking. We loved finding great trails like this all around Europe too. 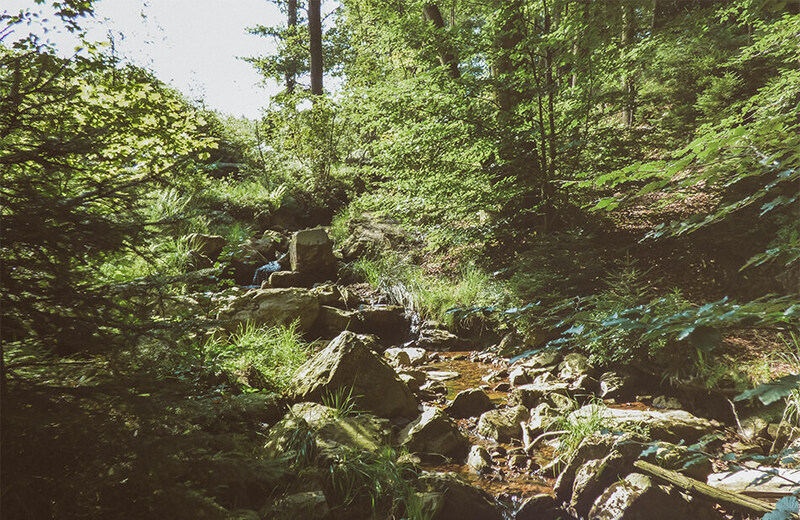 And for some reason we skipped Belgium last time… Time to head back to get lost in the forest! 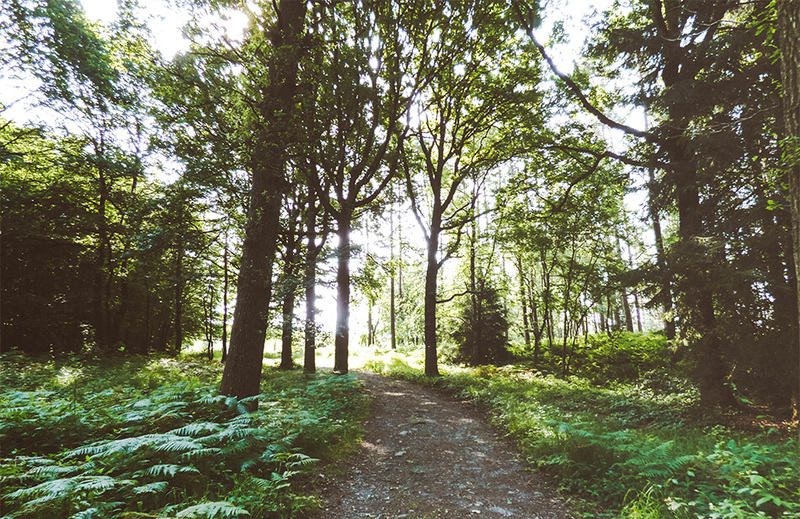 I'm glad to hear that this trail is clearly marked – we always seem to get lost while hiking! Though I'm usually at the bars and restaurants in any given city, I'm starting to get more into hiking, so I love learning about new trails. This one in particular looks so tranquil and gorgeous. Love seeing the little creeks everywhere! You definitely should come back ;-). Belgium is often forgotten when people plan a trip though Europe but we have so much to offer!